Well what better way to avoid the cold weather than to travel to California. Tony and I had a great opportunity to travel to Valyermo, CA for F.I.S.T. triathlon fit training last month. We spent two days gaining a wealth of knowledge directly from the founder of Slowtwitch.com, Dan Empfield. 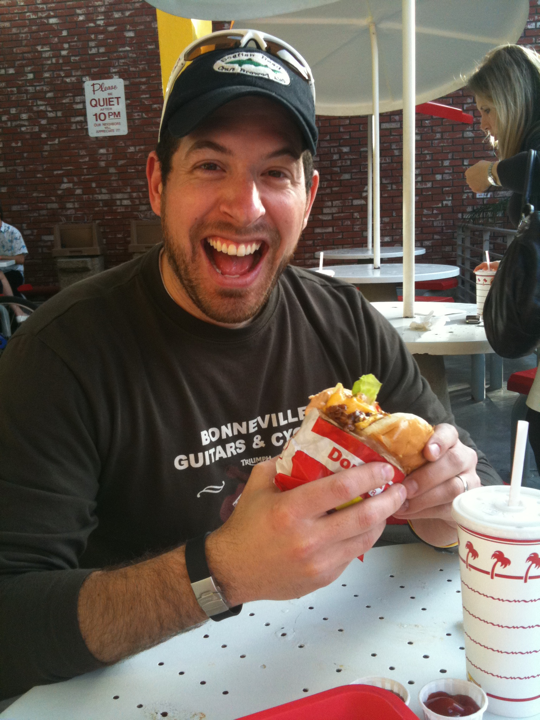 We began our journey on Sunday the 16th flying into LAX and ofcourse stopping first at In n’ Out burger before heading to our training. I have to say it was pretty fun driving out of LA with the rental car beeping at me as I reached the cars top speed. It is more impressive than it sounds, the beeping started at 75mph. The Xantusia compound where we stayed was in the middle of the desert outside LA. The view was amazing and the sunsets were gorgeous. Mark Montgomery was our host, a former professional triathlete, and his B&B was a perfect repreve from the hustle of Northern Virgina. There were fitters and athletes that joined us from all over the country and also from Canada. The first day of training began at nine in the morning, we spent a couple of hours going over their philosophy of fit and the tools of the trade. Dan was emphatic about the fact that the only difference between a pro triathlete and a triathlete is the engine, not the chasis. 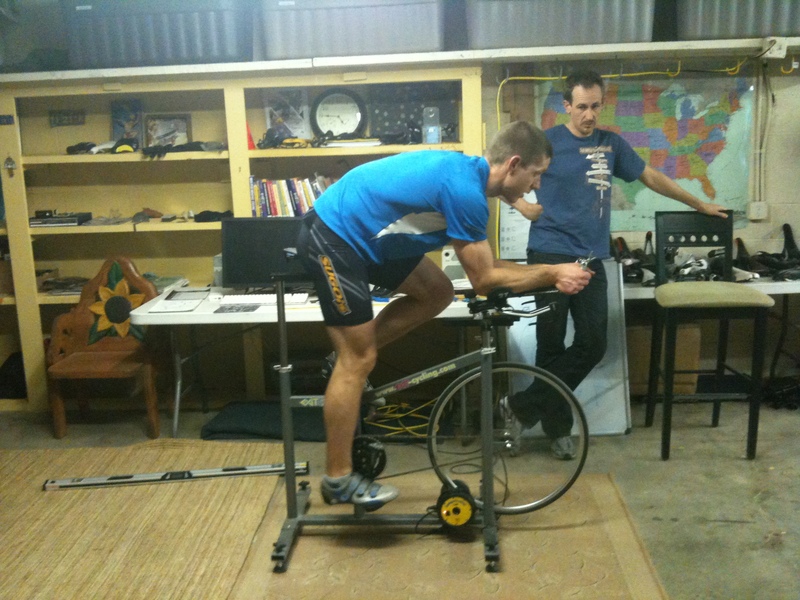 This means that most people can ride a set up on a tri bike similar to a pro triathlete without much effort. We took a break for lunch and Tony and I decided to go for a ride with the other members of the class, Dan and the other instructors. I have to say riding in shorts and a jersey was awesome compared to the weather that was on the other side of the country. The scenery was beautiful. We rode just over 20 miles and climbed 1500ft, plus a sweet descent at 43mph. 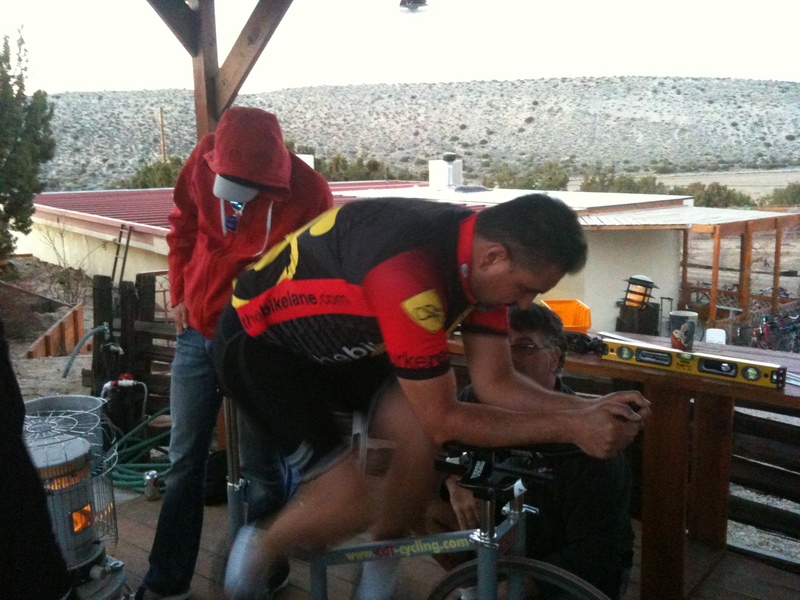 Upon returning we dove back into training and witness our friend Graham from Canada getting fit. After an awesome steak dinner we finished off the night watch Open Range on a big screen under the stars, wrapped in blankets. That is the way to watch a movie. Tuesday was a day of fitting the members of the class. Tony and I spent the entire day working with three others fitting each other. We got to experience the TT position and also work together to become comfortable with the F.I.S.T. fit process. We took away loads of information and also walked away with numbers for our own Triathlon bike fit. Tony was fit last and as the pictures show he looks pretty fast on that fit bike. The rest of the evening found us traveling back to the airport to head back home. Let me tell you Red Eyes blow! I forget how tiny plane seats are and whatever you do don’t book a seat next to the bathroom on a plane. Tony and I arrived back in VA on Tuesday morning and can’t wait to apply all that we have learned. This was by far one of the best fit classes I have been too. We are now ready to prepare all of our Triathlon customers for their bikes. Please feel free to give us a call to schedule a fit or just pick our brains. Our customer Robert Burchis a Fairfax County Police Officer based out of the Reston District Station. He will be riding from Richmond to DC in the Police Unity Tour. The Bike Lane is proud to support Robert and the Unity Tour. 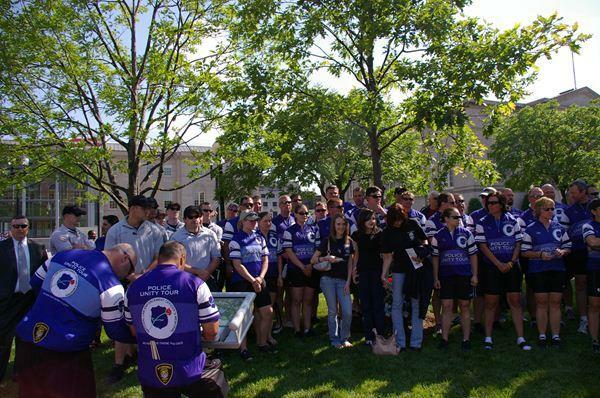 If you would like to support the riders or learn more about the ride check out the Police Unity Tour website. 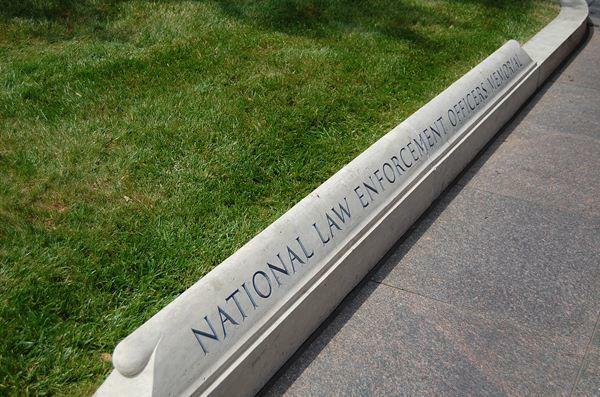 the National Law Enforcement Officer’s Memorial Fund. the Museum’s Hall of Remembrance. as well as the cleaning of the walls and other Memorial improvements. 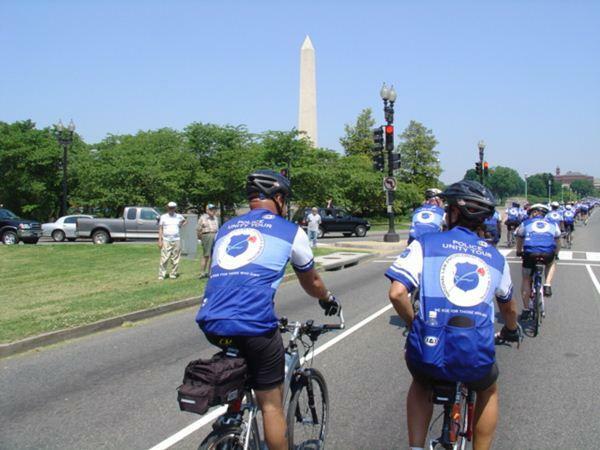 was created in 2010 and will make its inaugural ride beginning on May 10, 2010. Memorial, greeted by thousands of supporters and survivors. Yes, they are here and in perfect time! 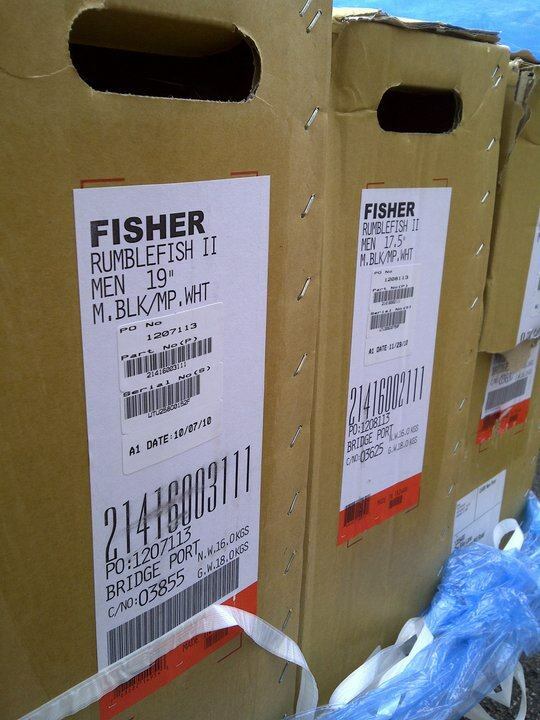 The Bike Lane’s Demo fleet of Trek 2011 Rumble Fish (Gary Fisher Collection) have arrived! And they are sweet!! 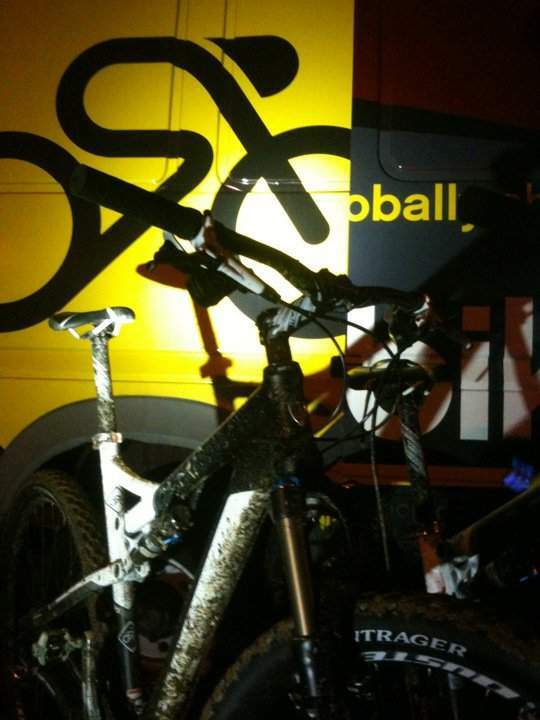 If you have not had a chance to ride a 29er this is a great bike to try out. The Rumble Fish is an awesome trail bike. Many of The Bike Lane staff have taken these bad boys out to ride in the snow, at the Shed, and Fountainhead. 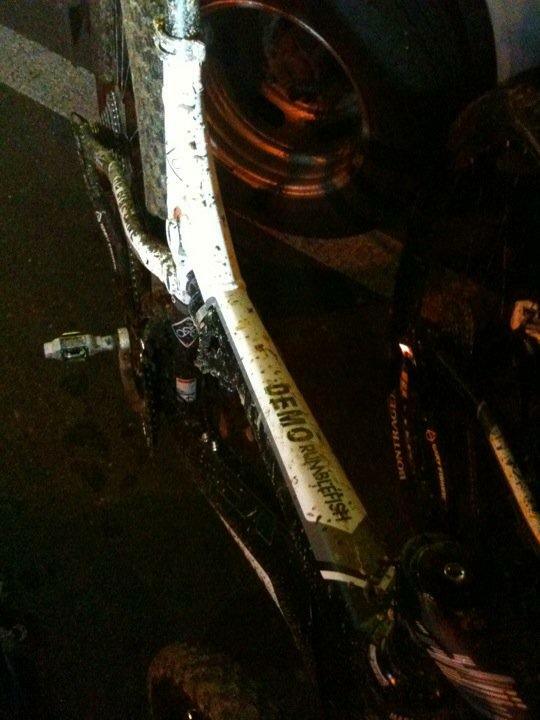 The overall consensus is “the bike rolls over everything”. Smooth handling and big wheels make this bike the Ride for any of the logs, roots, and rocks that come when riding on the East Coast. Come in today and ask about our demos.